Lack of confidence creeps in for a fashion designer when you stack a little too much behind who you don’t know, what you can’t do and what you can’t afford. What you focus on grows so it goes without saying that doing this will keep you feeling like an incapable outsider at best or a broke artist at worst. That’s the simple truth. Fashion is a sophisticated and structurally diverse industry, spanning across global retail chains and wholesalers, to independent design houses, and small design shops, with job occupations ranging from fashion designers, lawyers, accountants, social media directors and marketing professionals. As designers we can focus so much on manufacturing but that sector only makes up a fraction of this industry; actually its diversity and breadth alone can be overwhelming. 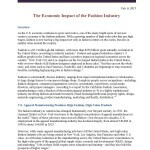 A recent US report on the Economic Impact of the Fashion Industry really breaks down how, to quote directly, ‘fashion and market research, brand licensing/intellectual property rights, design, materials engineering, product manufacturing, marketing and distribution sectors, all make up this highly sophisticated industry’. In short, it’s a jungle out there folks and last thing you need is crippling doubt on your back. Focus on what you have over what you lack…that could be a good support system, good knowledge of textiles, an understanding of the creative process, even a knack with a pencil – whatever it might be realign your focus with what is in abundance rather than deficit. 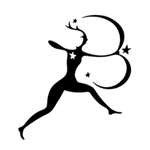 Is a designer, published author and the Global Campaign Director of Red Carpet Green Dress, working between Los Angeles, New York and London, with international brands including Vivienne Westwood, Reformation and Stella McCartney.